Huw is a marketing and communications professional with 28 years’ experience. 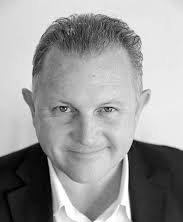 Former advertising agency MD (9 years), Marketing Consultant (10 years) Huw has also held senior management roles for well-known national companies. Despite being an all-rounder, at heart he is a strategist, problem solver and innovative thinker. He has extensive experience in successful direct mail and also video. Huw’s role as MD of a branding and advertising agency gave him expertise in corporate identity and messaging – including naming products and companies and devising memorable advertising campaigns. Huw has advised literally hundreds of businesses. His role for a management consultancy saw him helping numerous firms on behalf of Welsh Government – including many established and high growth businesses. His own experience of self-employment is in its twentieth year, so he really has an empathy with business owners, having been there at the coal face and pretty much seen it all. His experience has been for both in his own businesses and also for companies that he has helped in his role as a consultant to SMEs over the last two decades. Typically working at board level, he has helped map out strategic direction and steer the firm’s course of action, adapting to company culture and inspiring innovative thinking. Huw enjoys working for SME’s and making a difference to these types of businesses in an enthusiastic, passionate way, thinking laterally to solve problems and break down barriers.